Everyday they arrive before school, and spend the morning preparing food for a school of almost 1,500 students. Cafeteria workers are simply underrated members of the staff, and they put in more work than some students realize. 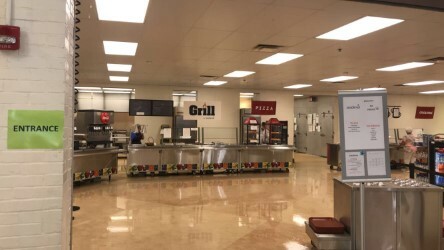 Despite what you may think, the work that goes into making food for lunch does not start a little before the A Lunch crowd rushes in, but in fact, several hours before the three lunch periods. Around 7:30 in the morning, the workers arrive and begin food preparation right away for breakfast, according to a cafeteria worker, Marie. After that, lunch preparation begins for the day. Overall, our cafeteria staff enjoys what they do, who they get to work with, and the interaction with people almost everyday. The least we can do is be well-mannered and recognize them for the work they do for students and teachers.